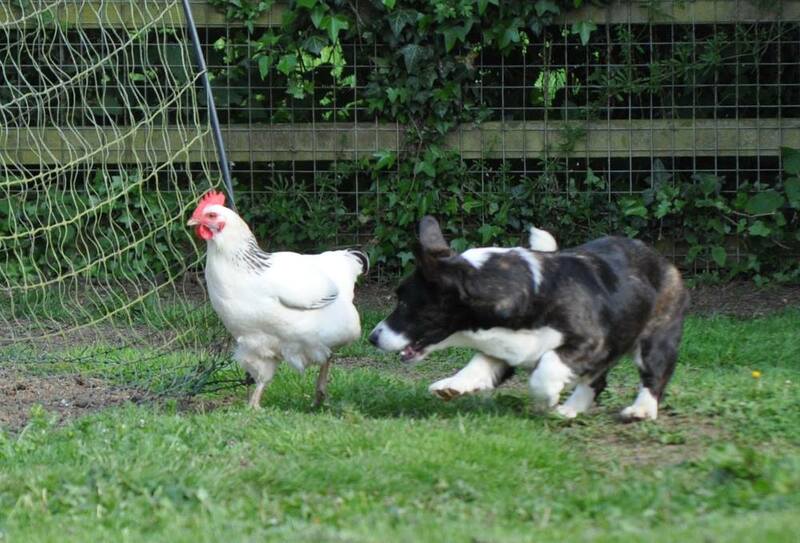 She is a natural herding dog and enjoys caring for her hens. If one comes out of the pen,she carefully herds it back. DM (EXON 2) She is a Carrier, which means a probability of 50% of her offspring also being carriers. She has been tested for the colour genes at 'B', 'E' locus. She is homozygous B/B which means all her offspring will have black noses and eye rims and she cannot produce liver or chocolate coloured offspring. 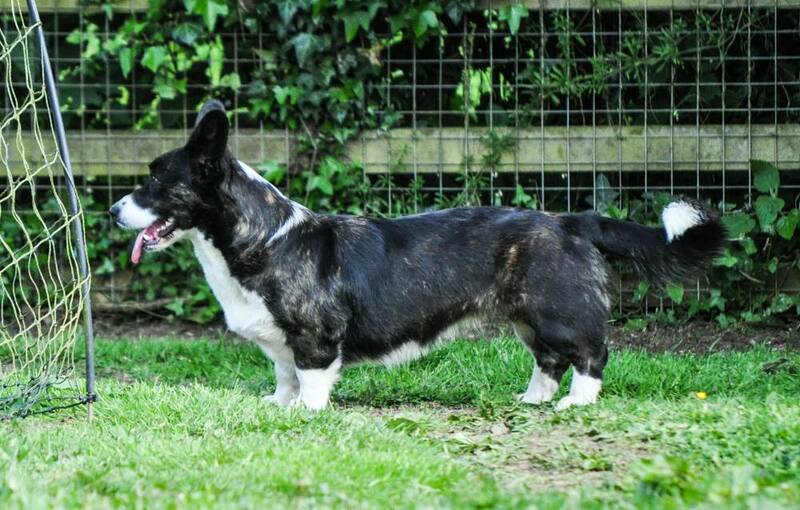 She is also hereditarily clear of gPRA-rcd3.